BBGSian Audrey Lim Yoke-Lin launched her maiden showcase of over 30 pieces of artworks titled “A Journey of Art-spiration: Faces”, putting them for sale online via a silent auction conducted from 8th August – 8th October 2018. 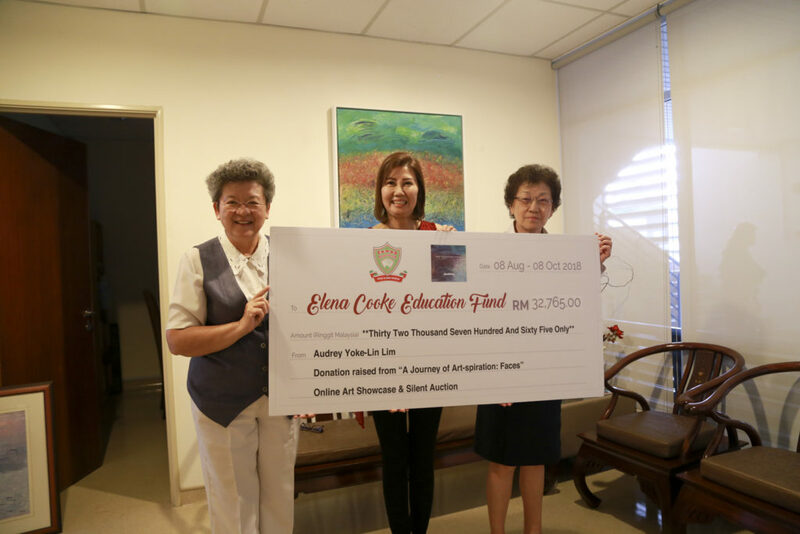 In conjunction with the celebration of BBGS125, she has generously donated all the proceeds of the auction – amounting to RM32,765 – to the Elena Cooke Education Fund. Audrey recently presented a mock cheque for RM32,765 to Ms Moey, the Chairman of BBGS Alumni Berhad. 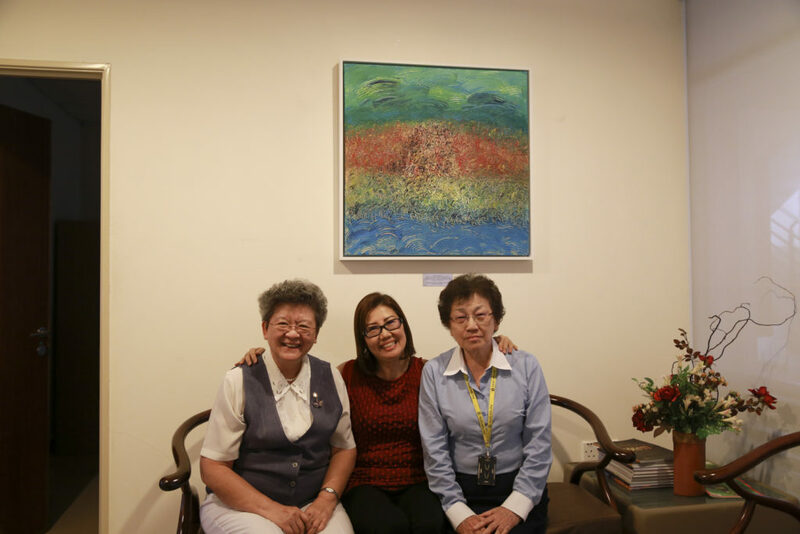 At the same time, Audrey handed over one of her paintings, on behalf of the buyer of the painting who had decided to donate it to Methodist College Kuala Lumpur. Ms Moey and Ms Betsy Li received it on behalf of MCKL.